Any great journey starts out with a little trepidation, think back to your first day of school, walking out into the big wide world (or playground) and then looking back to see your guardian eagerly watching and willing you to keep going. These first steps are always the hardest, and as one of the the largest mammals on the earth there’s no exception. 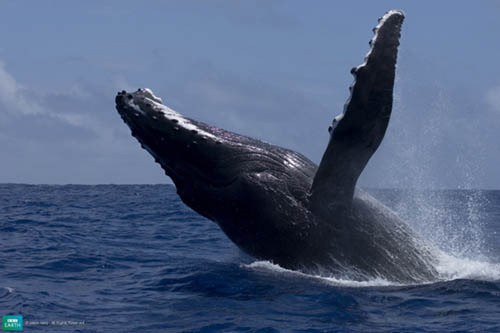 Scientifically classified as one of the ‘big-winged’ (Megaptera) species, Humpback whales make their annual move north from the warm Hawaiian Island waters from March onwards. Seeking fresh food and cooler temperatures, these magnificent giants will travel through currents so challenging that only perseverance will see them through. And as a newborn, the first ocean crossing will be something to remember. After approximately four months of not eating and living off her own blubber, it’s not just the cow’s instinct which is telling her that it’s time to move on. With calf in tow, she sets off. From the low-latitude breeding grounds, they will travel at 3 to 9 mph or as fast as the calf can swim. Sometimes this can take up to three months, but at 1,000 miles per month, at this stage they can’t afford to waste a moment of their time. 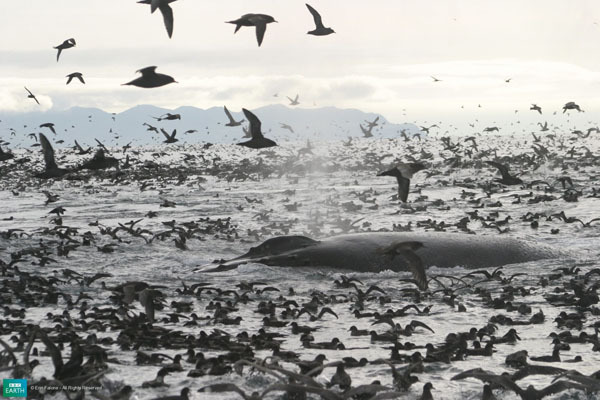 Purposefully, the pair follow the migratory path to the Alaskan waters where a great feast awaits. While the calf drinks up to 132 gallons of its mother’s rich milk every day, the waxing and waning moon only reminds the mother of the importance of this move. As the sea floor falls far deeper below them both, and tropical sandy shores are replaced with glaciers, the time has almost come! With one final push, the tired pair finally arrive. And welcoming them are numerous other North Pacific Humpbacks, who have made the same trip and are already making the most of the plentiful supply of fish. All the hard work isn’t over yet. There’s breaching to practice, strengthening of fins and tail but most importantly, the skills of the hunt to master! The first mission is however behind them, and with cow and calf still together and gaining strength with each passing day, the memory of their journey will be with them for the rest of their lives—which can be anything up to 50 years. Check out the extraordinary fishing techniques used by watching the BBC Earth filming first below. Sea for yourself what makes them magnificent!